One of the tomato plants I planted this year is a “Sun Sugar Cherry” plant (each year, I kind of just pick 5/6 different kinds and see what I end up with-however, this one will be planted every year). 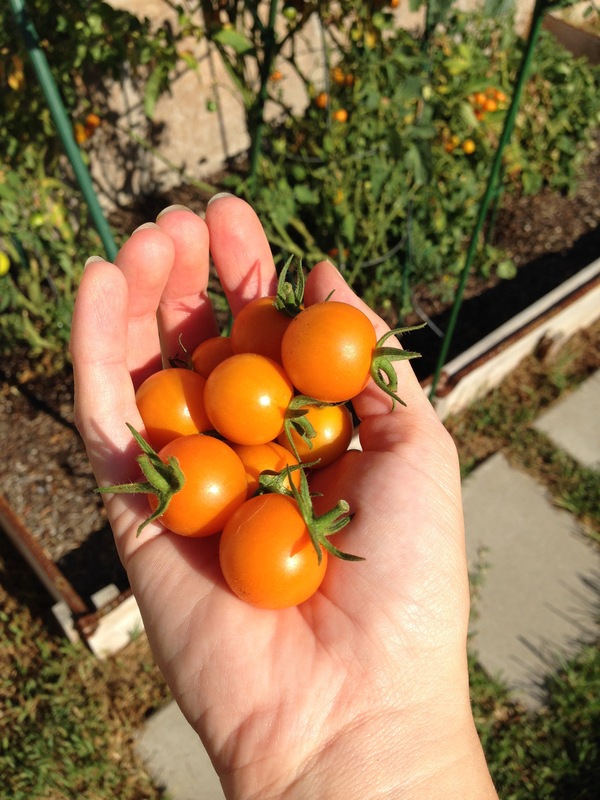 Little orange cherry tomatoes, that are, surprisingly sweet and flavorful. In fact, after I picked them last night I tried one, and then I had quite a few more (fun fact: several years ago, Sun Sugar was named by Sunset Magazine as the best tasting tomato in their trials for its sweetness and rich tomato flavor that includes just the right amount of tartness!). 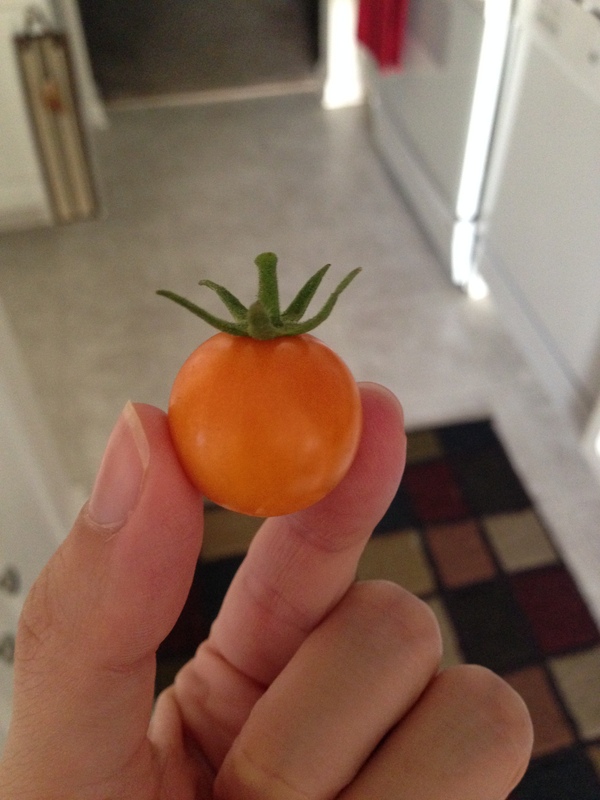 Probably the best cherry tomato I’ve ever had. I decided to throw together a salad with ingredients I had at home, and it turned out to be fabulous! 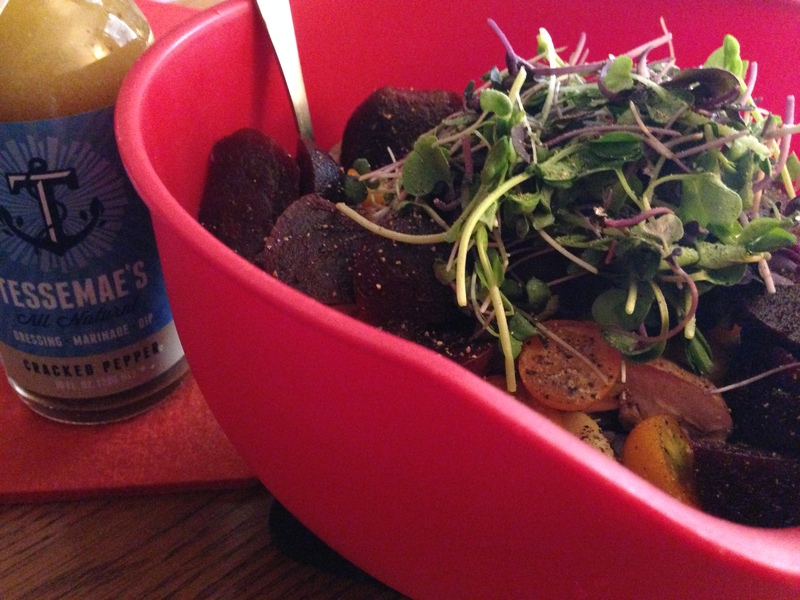 Toss everything in the bowl, and top with a handful of microgreens, salt/pepper and some Tessemae’s (paleo friendly!) Cracked Pepper dressing. 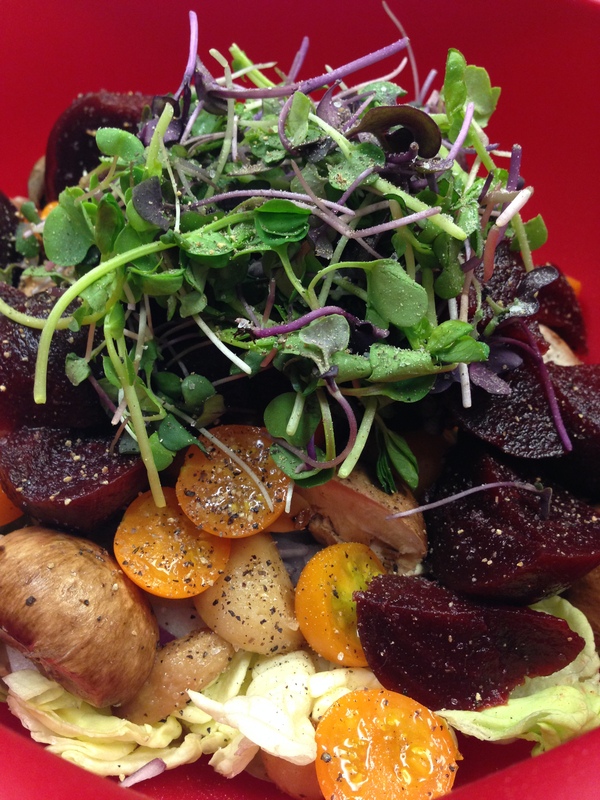 This entry was posted in Food, Garden, Recipes and tagged Beets, Butter Lettuce, Crimini, Garden, Grilled Garlic, Microgreens, Nutrients, Paleo, Red Onion, Salad, San Diego, Sun Sugar, Tessemae's, Tomatoes by livinglikelinds. Bookmark the permalink. I will definitely be planting this next year!!!!!!!! Can’t wait!